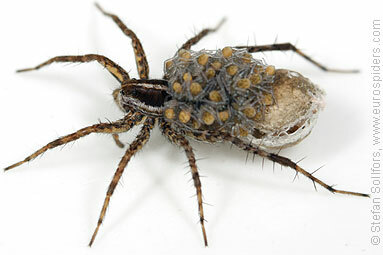 Female Pardosa monticola carrying her spiderlings on her back. 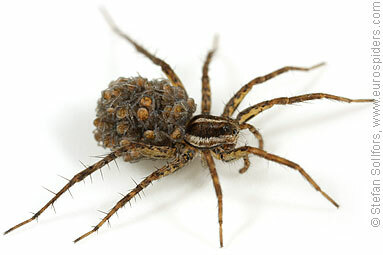 Female Pardosa monticola, still carrying the empty egg sac, just after the spiderlings have hatched and climbed onto her.. 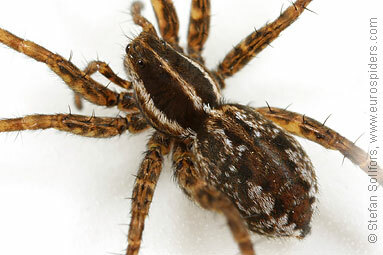 Female Pardosa monticola, side view. 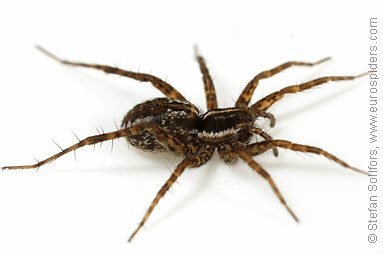 Male Pardosa monticola, side view. 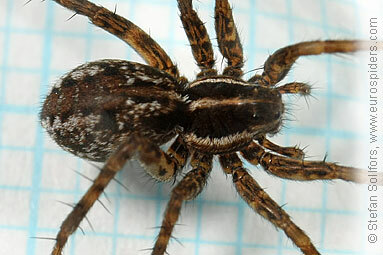 Female Pardosa monticola, close-up of body. 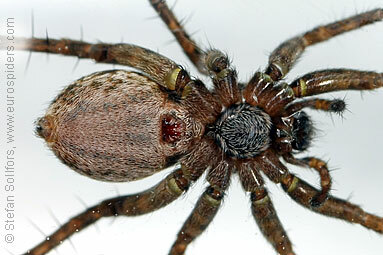 Male Pardosa monticola, close-up of body. 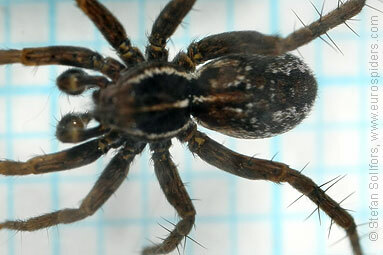 Female Pardosa monticola, head-on view. 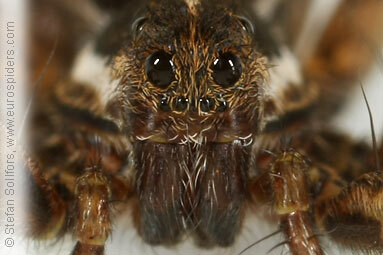 Female Pardosa monticola, close-up of the face. 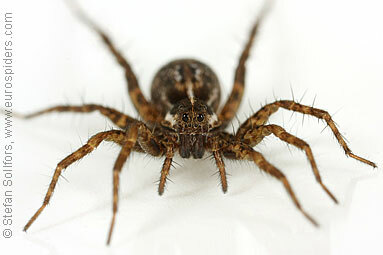 Female Pardosa monticola from below. 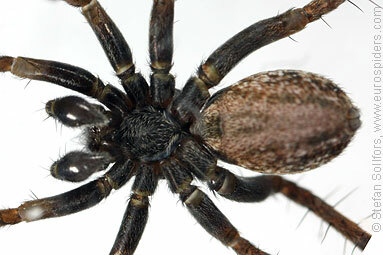 Male Pardosa monticola from below. 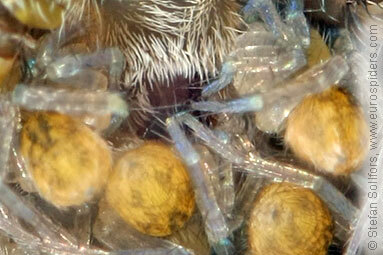 Female Pardosa monticola, close-up of the spiderlings around the epigyne. 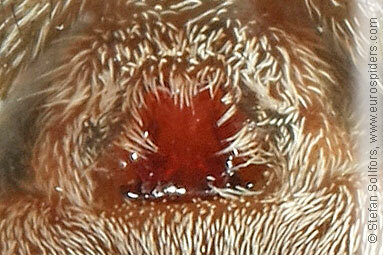 Female Pardosa monticola, close-up of epigyne. Female Pardosa monticola, almost 6 mm. 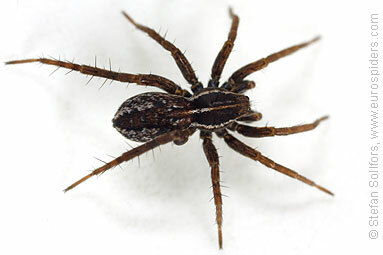 Juvenila male Pardosa monticola, 5 mm. 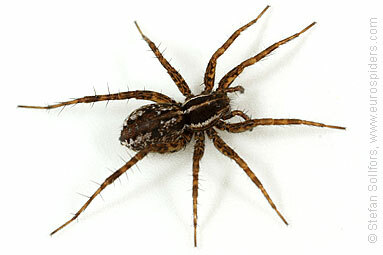 The Wolf spider Pardosa monticola.